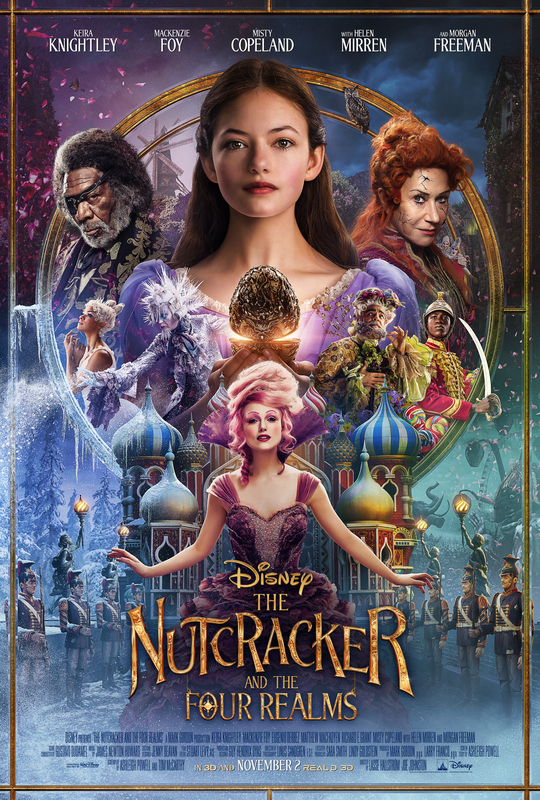 Let’s face it, Disney’s The Nutcracker and the Four Realms isn’t really sure what kind of movie it wants to be so it never really achieves its full potential. As the movie comes to blu-ray this week Disney shows that even when it fails, it does so beautifully. The conversion of the film to blu-ray is glorious, as is every Disney film on the format, as the colors truly pop. But the story and acting undermine the visual beauty of the rest of the movie. Somehow, even with a cast full of A-list talent and some of the best special effects in the world, it feels like a community theater production. The film itself never really comes into its own and it shows. In theaters one is bombarded with so much sound and visuals that it is easy to get lost in the world that’s being created but at home everything is toned down just enough that the flaws in the film become more nuanced. The production design is beautiful in most cases but in others, like a practical costume, it just doesn’t work. Sometimes technology is too good and lets the audience see the strings, this never would have happened on VHS. Disney itself doesn’t seem to as enthused by the film as it does others in its catalog. While there are certainly special features they seem a bit scattered. There’s quite a few music videos in there which seem like filler and while here is a featurette on the making of the film it’s far too short to really give insight. It’s like Disney realized they had a flop on their hands so they put just enough effort into the release to make it cool but not spectacular. Compare that with other releases like Incredibles 2 or Thor: Ragnorak which are chock full of special features that take hours to get through. Nutcracker seems like a throwaway release in comparison. Still, there are some highlights. When the film gets down to its mission statement of making a film about a famous ballet it’s actually quite good. Granted, everything comes to a halt as the ballet gets shown to the audience, but it looks breathtaking. If only the studio had gone all in and put more focus on the ballet aspect of the film instead of turning it into a Alice/Narnia-hybrid it would have been a much better film. The Nutcracker and the Four Realms is available now everywhere.